Highclare School > About Us > Why Independent? When considering the education of your child, the volume of options can be daunting. 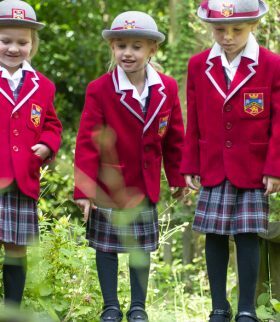 As an independent school, we believe Highclare is able to offer your child much more than they would receive at a state school or grammar – from Pre-School through to Sixth Form. 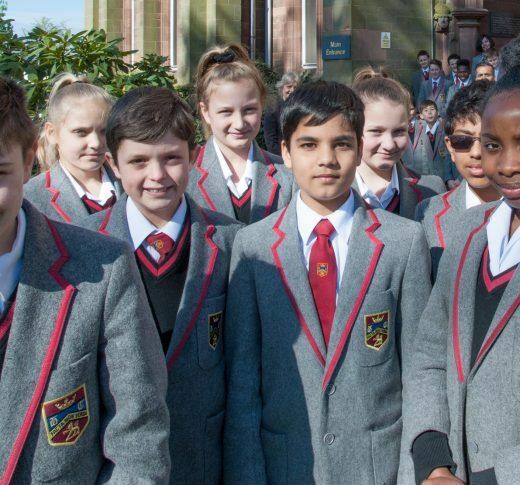 At our school, the pursuit of excellence in every area of the pupil’s life is important. Not only do our superb grades reflect the outstanding teaching delivered at Highclare, but we offer a rounded programme of activities as standard to bring out the talents of every child. Each child has access to one-on-one music and LAMDA tuition with peripatetic experts, and the provision of a wide variety of extra-curricular activities to suit every interest, from ballet to environmental issues. Our philosophy of educating the whole person ensures the pupils develop their emotional and spiritual intelligence as well as their academic excellence. Our ultimate aim is to create a warm, happy environment where children can thrive – after all, a happy child is much more likely to reach their fullest potential. Our size allows for a place where every student is known, and every student is valued – there are normally no more than 22 pupils in one class, meaning each child has individual attention, with the curriculum tailored to their needs. This personalised care extends beyond the classroom. As well as having a Form Teacher, each pupil at Highclare Senior School is assigned a Personal Tutor upon entry to the school. This Personal Tutor will remain with them throughout their time at Highclare, meeting with them on a regular basis, and generally taking an active interest in their academic progress and emotional wellbeing. Highclare’s all-through offering means we are there for every step of your child’s educational journey. This means there is no disruption to learning, and the transition through the school is smooth – avoiding the ‘dips’ in learning accompanied by transitions to new schools. Students also benefit from the leadership and mentoring of older pupils, with whom they have much interaction at Highclare – as well as having access to the specialisms and facilities of the senior school. Most crucially, all-through education means we know and support your child as a learner from the earliest age up until adulthood in the Sixth Form. The quality of pastoral care at Highclare has been independently recognised by the ISI Inspections in recent years, which have consistently ranked it as being “excellent”. The most recent inspection report commented that “… the staff know their pupils really well, and the excellent rapport that exists between staff and pupils is evident throughout the school”. Highclare firmly believes that a co-educational environment is vital in preparing students for their futures, which is something many of the local grammar schools can only offer at Sixth Form. The development of the individual in terms of social skills is as valuable as achieving academic excellence to ensure their school journey sets them up for life.